because we’re so close to summer, i’m sharing these creamy strawberry avocado yogurt popsicles today. next wednesday, in less than a week, i will be done with school and on a plane headed home so that i can bum out and bake alllll i want and ignore coding for forever (oh, i wish). these were inspired by an afternoon of perusing italian cookbooks. 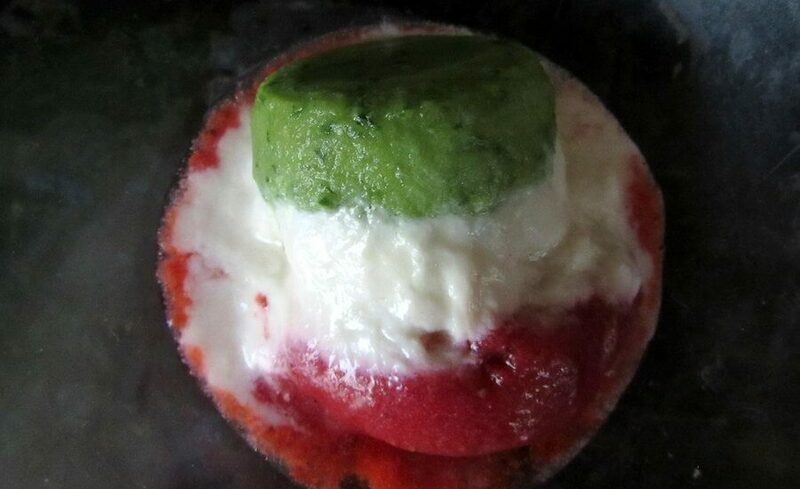 no, they aren’t italian flavors per se, but they are the flag colors. i did a blend of cucumber with extra skin (for that color!) and some avocado (for density so the other layers wouldn’t sink into the green!). the skin didn’t completely break down in my pops; i like the texture. if you want something more whippy and smooth, blend more. the middle layer is greek yogurt sweetened with a touch of (grade b forever) maple syrup; i highly recommend using some sweetener, because it helps the yogurt stay a little softer and not freeze so hard later on. the last layer is strawberry puree. mine were sweet enough that i didn’t need to add anything, but you can if your strawberries are anemic and bland and sad. these creamy strawberry avocado yogurt popsicles were really nice and surprisingly creamy. a little savory from the green, a little bit of tang from yogurt, gentle sweetness from the berries. I hope you enjoy your break from school. I've always been a fan of making my own popsicles. It's usually hard for me to wait for them to freeze I'm so excited to see how they taste. I bet the avocado makes the popsicles creamy. thanks! i feel you about being impatient while waiting for them to freeze; that’s exactly why i don’t like making my own ice cream! (; and you’re right, the avocado (and the yogurt!) make these popsicles deliciously creamy. These look really fun to make! I need to get on the popsicle bandwagon and buy myself a mold and get freezing! thanks jessica! i actually just used dixie cups for these; they work really well if you don’t want to invest in a mold/don’t want extra crap in your kitchen (idk about you, but my pans and other kitchen things have started to spill into my bedroom, haha). Omg, you study coding?! YOU GO GIRL!! I wish I had those kind of brains 🙂 These popsicles look so pretty T_T I bet the avocado and strawberry complement each other Mmmmm!! These sound amazing!! 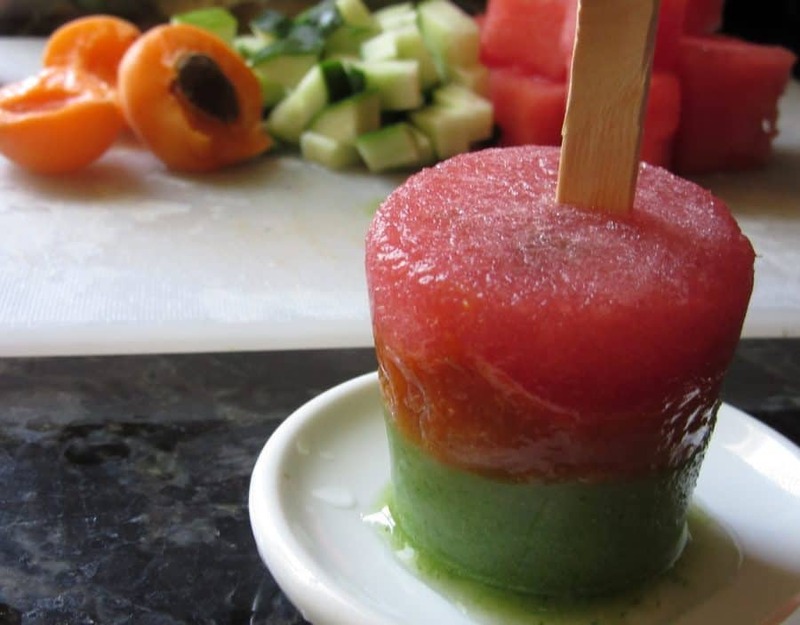 Love the idea of making popsicles, especially healthy ones like these. 🙂 Happy summer! thanks bekah! 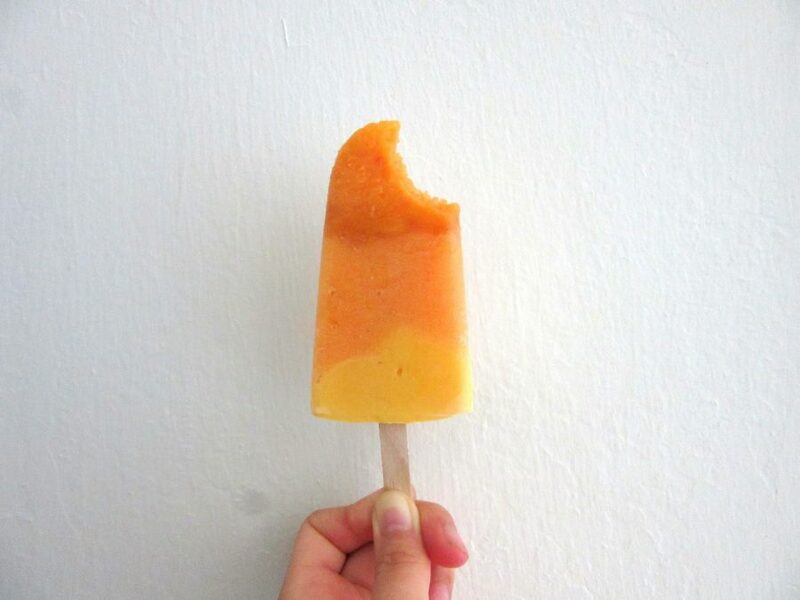 healthy popsicles are my fave; they feel special and satisfy my need for something sweet but still have plenty of fruit.